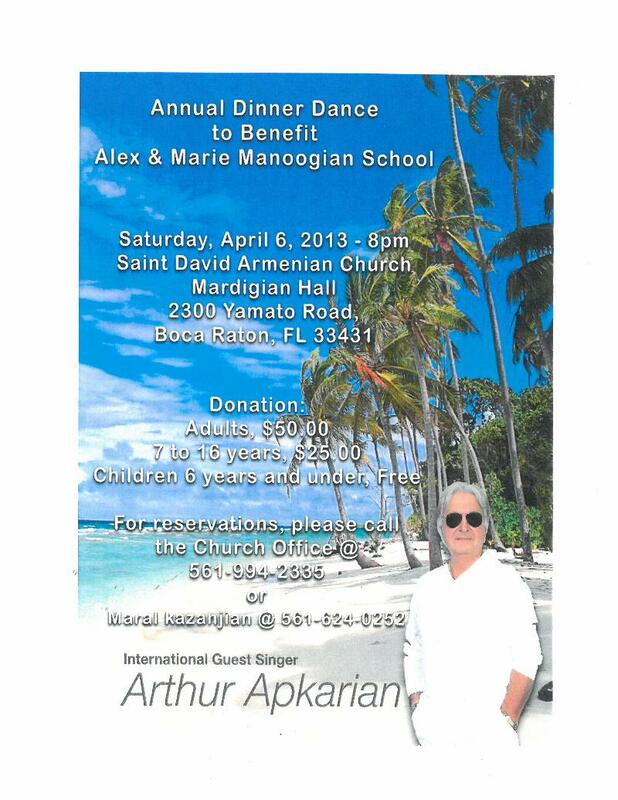 Please note the date for the Annual Dinner Dance to benefit the St. David Armenian & Sunday school has been changed to Saturday, April 6, 2013 at 8:00 p.m. in Mardigian Hall. The evenings entertainment, international singer Arthur Apkarian and his band, have graciously rearranged their schedule to meet this date. Please reserve April 6th on your calendar for a most enjoyable evening.